I believe it to be this blog’s quest and motivation to find lesser known metal, throughout the year. A large goal and benchmark I have been working towards is finding bands before they have a Metal Archives page or below a certain number of listeners or just online presence. This isn’t some contest to find the most obscure band rather recalibrate my journey through the wretched halls of lesser known heavy metal. Though this search does not turn up gems everyday, if one is patient they will find something truly horrid. Hypnosinosis is one of the winners for January. 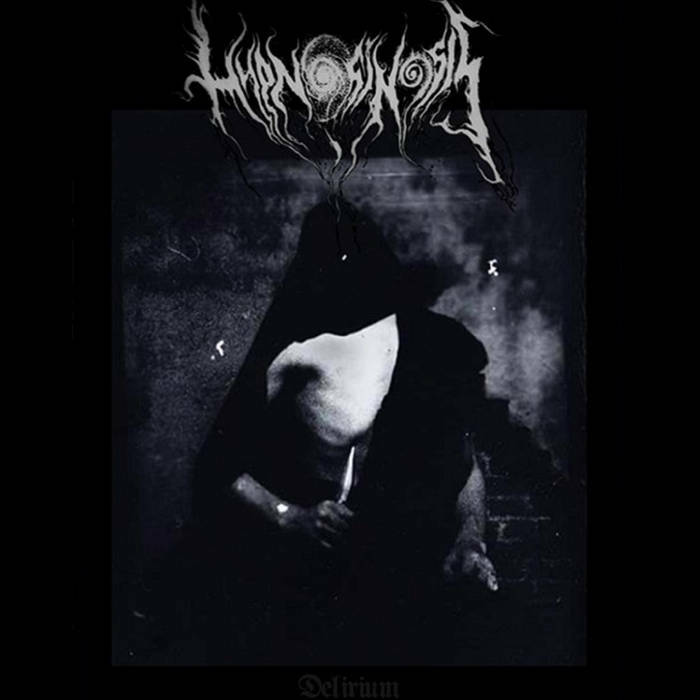 Delirium is the debut demo for Chilean black(end) death project Hypnosinosis. Usually on a three song demo, burning the first track with ambience and intro takes away from the very limited time a band has for presentation. “Oneiric resonance” is a 3 minute intro which houses strange voices and dark ambience which leads into the demo’s actual opener “Cascades of Horror.” Even though a long intro track on a demo is wasteful, Deliriums patience and choice to spend this time setting the stage pays off with a demo that is powerful and nearing otherworldly. I am still unsure whether or not I accept the idea of blackened death versus black / death. Delirium certainly does have its edges smoothed compared to most black/death yet the grit and grim which surrounds this band far surpasses many bands with the same moniker. This atmosphere makes the two feature length tracks work with constructed madness and allows Delirium to be a cascading descent down a well of stylized insanity. Though not completely devoid f structure and reason, this demo far surpasses all benchmarks for introductions and makes me excited for future excursions in nightmare lands.